Whole Foods at University Station includes a French-themed restaurant and bar. Steve Salsberry, a regional produce associate coordinator for Whole Foods, was standing in front of mountains of vegetables and fruits his grocery store is famous for displaying. "It's an art," Salsberry said two days before Whole Foods University Station opening set for Jan. 31 in Sarasota. "We pride ourselves with that. It's definitely a technique and it takes time. There is a lot of hand-eye coordination." And if the customers scoop up items and make the mountain come crashing down? "It just means we did a great job, because people are buying," he said. When Whole Foods opened its 40,000 square foot store, its second in Sarasota after its downtown grocery, it also wanted to find out if people would break up their shopping at Whole Foods' new French-themed restaurant and bar, Brasserie Honore. It was Whole Foods' 14th restaurant-bar combination in Florida at one of its grocery stores and the first with a French theme. Three wines are available on tap as are five draft beers. 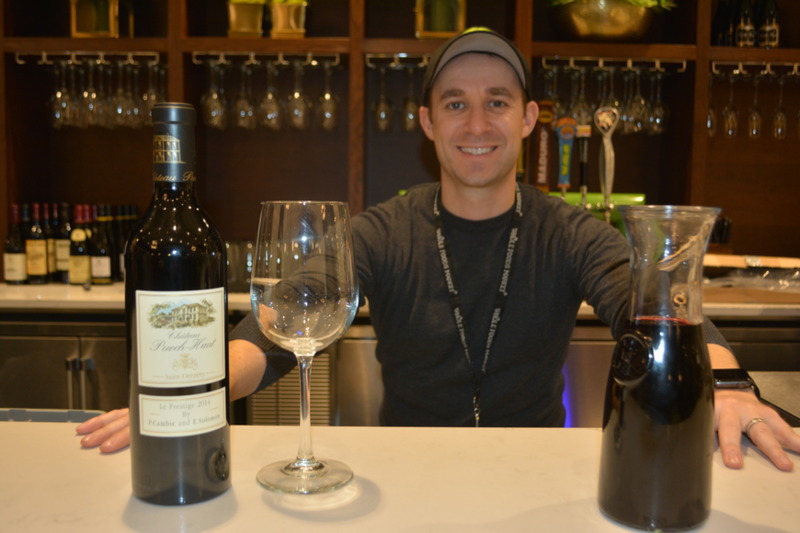 Wines also are available by the bottle, plus shoppers can pick up a bottle of wine or beer in the store and bring it over to Brasserie Honore to enjoy. Blake Ledbetter, the culinary coordinator for the Florida region for Whole Foods, said the atmosphere at Brasserie Honore, which is 1,500 square feet, is "absolutely stunning and impactful. It's the decor and lighting, and the food quality to match. We will provide our customers with an experience like no other." The first 500 customers on Jan. 31 will receive a gift card with a undisclosed value ranging from $5 through one lucky winner who was given $500. It is the 28th Whole Foods grocery in Florida and the sixth on the state's west coast from Tampa to Naples. The store has 180 employees.